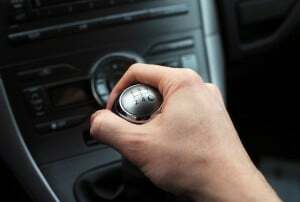 Vehicles with manual transmissions are rarer these days than automatic cars. Maybe you never learned how to drive a stick shift when you were younger, but now you want to learn. It’s an important skill to have – after all, you never know when you might have to drive someone else’s car. 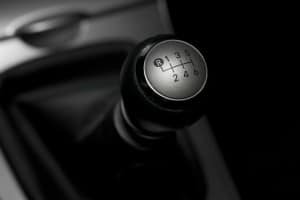 Whether you want to purchase a vehicle with a manual transmission or you simply want to be prepared for an emergency, this guide will teach you how to drive a stick shift. A clutch pedal: The gas pedal is located on the right, and the brake pedal is to the left of that, just like normal, but there’s a third pedal to the far left called the clutch. When you drive a manual car, your right foot handles the gas and brake as usual, and your left foot depresses the clutch pedal when changing gears. Numbers on the gearshift: Automatic cars have labels on the center console indicating park, drive, reverse, and neutral. Manual cars don’t have these labels. Instead, the gearshift features numbers for each gear, plus an “R” for reverse. A handbrake: Because manual cars don’t have a dedicated gear for parking, you must use the handbrake when you turn off your car to prevent it from rolling away. Gearshifts don’t all look the same. If the car has five gears, the picture at the top of this post indicates the most common layout. For cars that have six speeds, you can expect to see the configuration seen in the image to the right. You can practice moving the gearshift into different positions before you even turn on the car. Simply depress the clutch pedal with your left foot and move the gearshift in the order of the numbered labels. Sit in the driver’s seat and make all your usual adjustments. Fiddle with the rearview mirror and side mirrors until you can adequately see around the car. Adjust the seat until you can depress the clutch all the way with ease. Then, put on your seat belt. Make sure the car is in first gear or neutral (meaning the gearshift isn’t locked into any gear position) and press the clutch in all the way. Start the car. While keeping the clutch in, depress the brake with your right foot and release the handbrake. If the car isn’t already in first gear, move the gearshift to this position. Take your right foot off the brake and move it to the gas pedal. Lightly press on the gas until the engine revs to between 1,500 and 2,000 RPMs, which you can see on the car’s tachometer. Slowly release the clutch while increasing pressure on the gas pedal and the vehicle should start moving forward. Mastering this “feathering” technique is the trickiest part about driving a stick shift. If the RPMs drop too low, the car could stall. You can prevent this by depressing the clutch quickly or pressing harder on the gas when you start to feel the car shudder. If the vehicle stalls, restart it and try again. As the car continues to roll forward, pick up speed by giving it more gas. When the RPMs reach about 3,000, let off the gas, depress the clutch, and move the gear shifter into second gear. Let the clutch back out and press on the gas again to continue building speed. When you need to stop, press on the brake. Then, depress the clutch pedal before the car reaches 1,500 RPMs to prevent it from stalling. Keep the clutch depressed or move the gearshift into a neutral position so you can release the clutch. Continue practicing moving between first and second gear in the empty parking lot until you feel comfortable trying higher gears at faster speeds on the main road. You’ll have the hang of driving a stick shift in no time! For more useful car tips, please contact Scott’s Fort Collins Auto today.